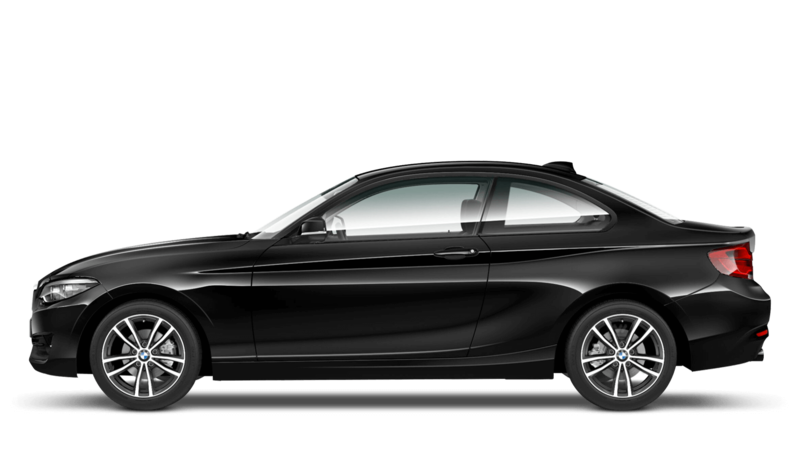 Small in size but not in pleasure, the new BMW 2 Series Coupé offers the same BMW performance as the larger models. With a new distinct form, the new BMW 2 Series Coupé has a smooth style that adds a touch of luxury inside and out. 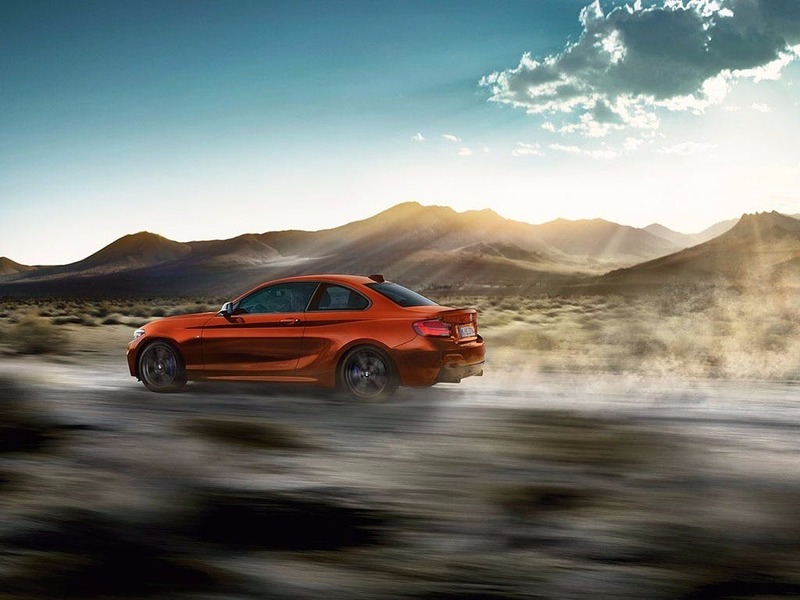 If you’re looking for speed, then the new BMW 2 Series Coupé won’t disappoint, reaching 0-62mph in as little as 4.6 seconds. 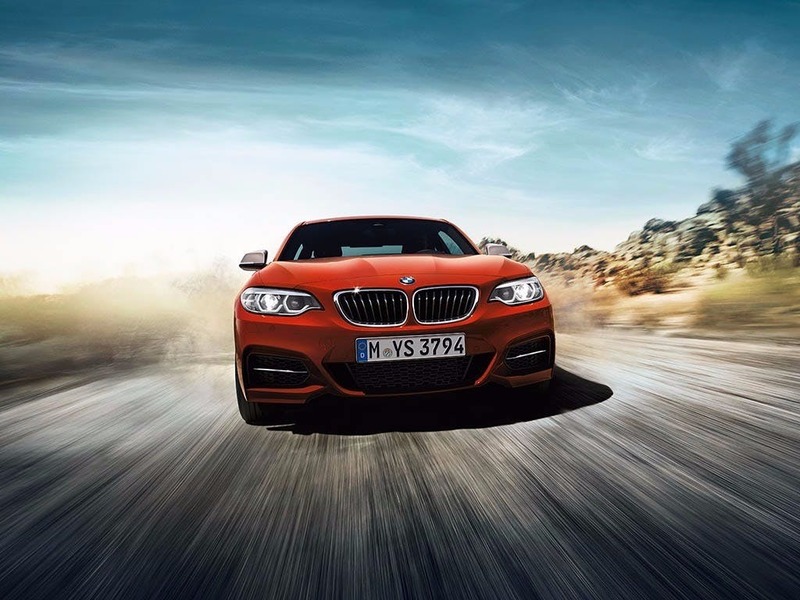 To test drive the all-new BMW 2 Series Coupé, visit the nearest BMW dealership in your area. 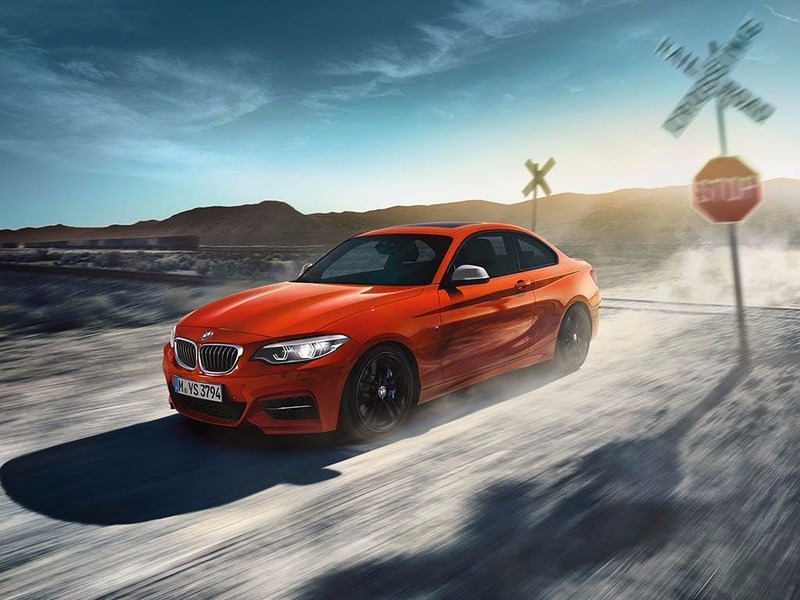 Discover all the latest BMW 2 Series Coupé offers currently available. 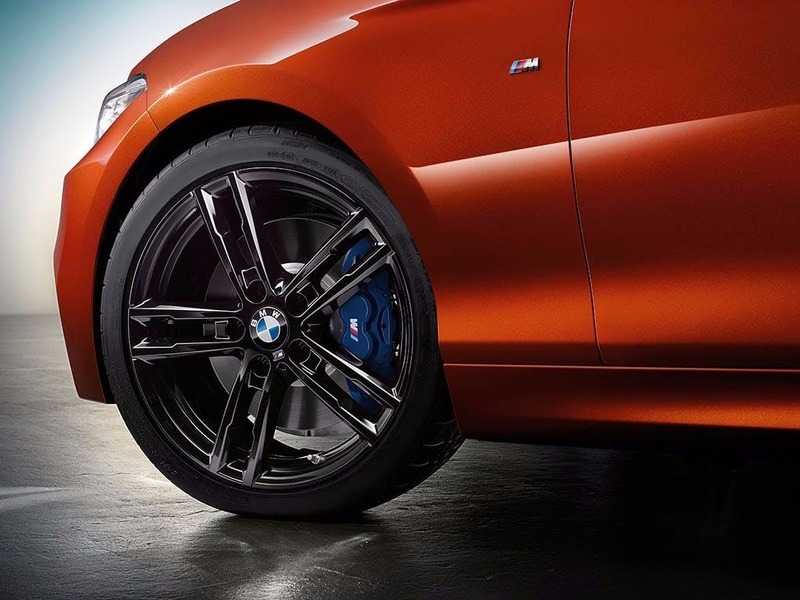 Every detail matters, view the BMW 2 Series Coupé technical specification. Download the latest 2 Series Coupé brochure. Generously appointed with plush materials, the new BMW 2 Series Coupé is pure luxury, right down to the smallest of details. With an optional upgrade to various leather and chrome packages available, the Sport and Luxury trim packages allow you to personalise the 2 Series Coupé just the way you like it. Supportive seats provide the ultimate comfort for even the longest of journeys, so you and your passengers can enjoy every moment of the ride. Opt for electric seat adjustment and lumbar support to make your experience as pleasant as possible..
With a low, long bonnet and razor-sharp lines, it’s obvious that the new BMW 2 Series Coupé is capable of providing the utmost luxury and a vigorous performance. 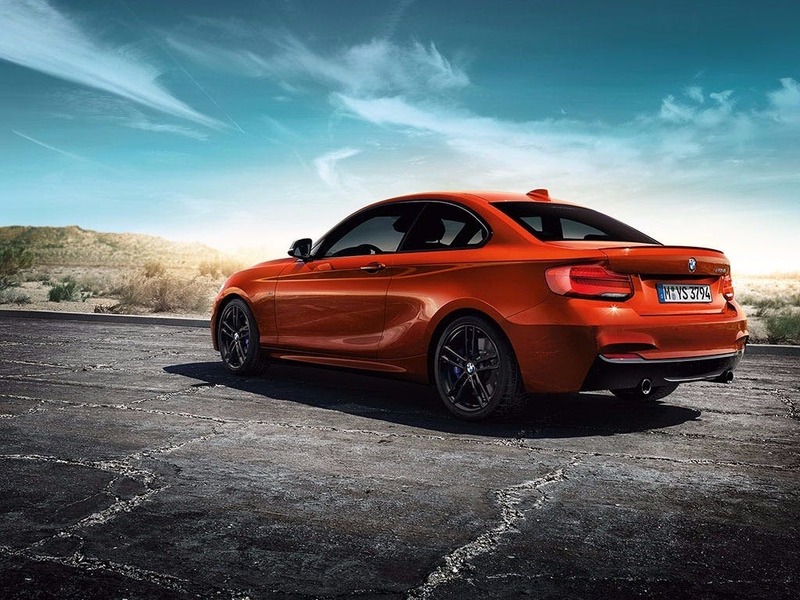 Modelled to evoke the classic BMW Coupés, the new BMW 2 Series Coupé is visually stunning. 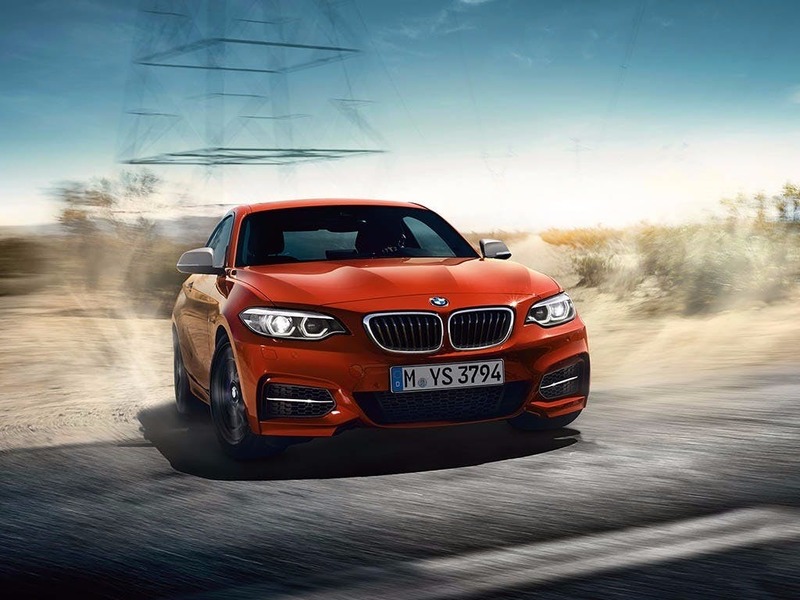 Athleticism flows through the exterior lines of the 2 Series Coupé, with its dynamic wedge shape and muscular wheel housing. Its elegant dual grille and stylishly narrowed headlights give way to the aerodynamics that defines the new BMW 2 Series Coupé. It’s not just the exterior that sets this BMW apart from the rest. 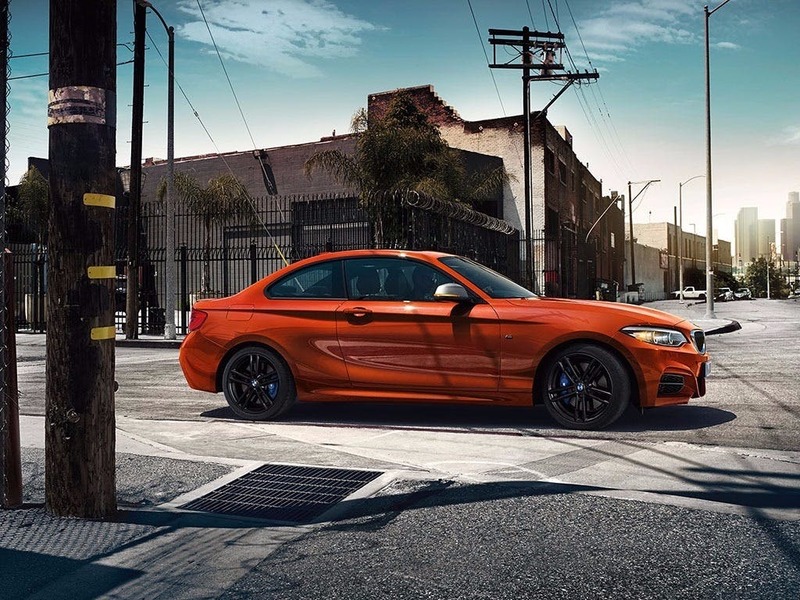 The new BMW 2 Series Coupé is equipped with the award-winning BMW TwinPower Turbo six-cylinder petrol engine that is renowned for delivering power without compromising on efficiency. Power isn’t a problem with the 2 Series Coupé, as you can drive away with 148bhp, 188bhp or 221bhp packed under the bonnet. With a 1.5-litre three-cylinder engine and a 2.0-litre four-cylinder engine available as well, you can experience the BMW 2 Series Coupé exactly the way you want to. Packed full of safety features and innovative technological advancements, the new BMW 2 Series Coupé takes technology one step further. Using BMW’s intuitive iDrive system, the 2 Series Coupé’s dashboard makes controlling the car’s settings and functions easy. With a vast range of safety features available, either as extras or various trim packages, you can enjoy your journeys knowing that you are safe every time you leave your drive. 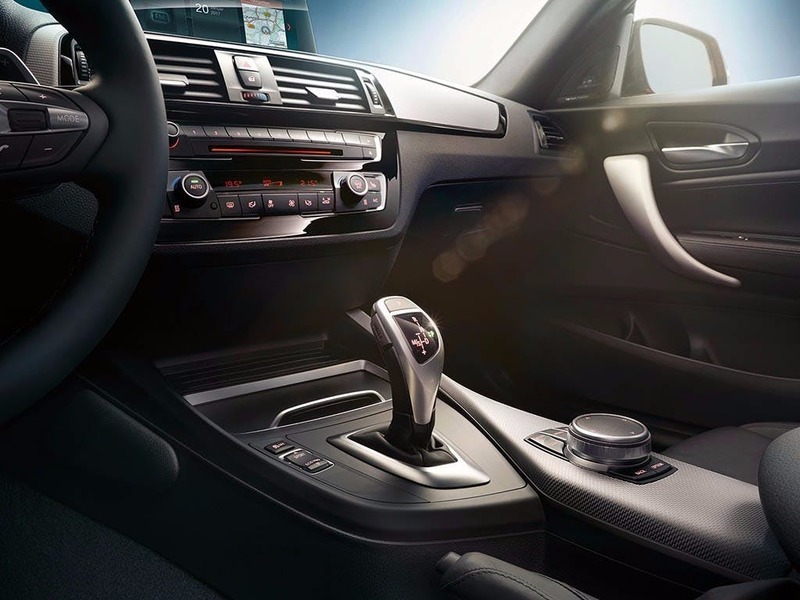 Designed to make your life easier, the 218d Se model allows you to make use of a DAB radio, climate control, Bluetooth connectivity and an auto-dimming rearview mirror. 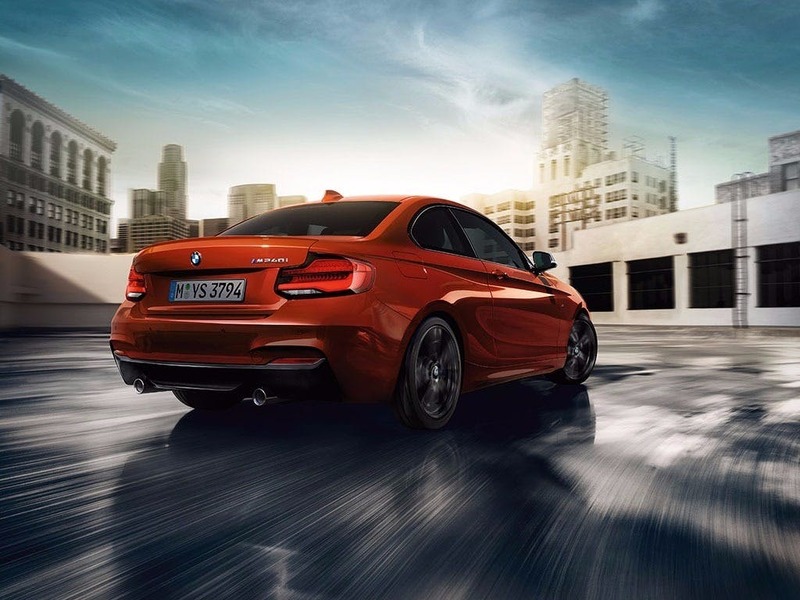 Experience the unconventionality of a traditional Coupé with the new BMW 2 Series Coupé. Visit your local BMW dealership in Bedford, Brighton, Borehamwood, Cambridge, Farnborough, Hailsham, Hindhead, Kentish Town, Ruislip, Stansted, Watford and Worthing for a test drive. 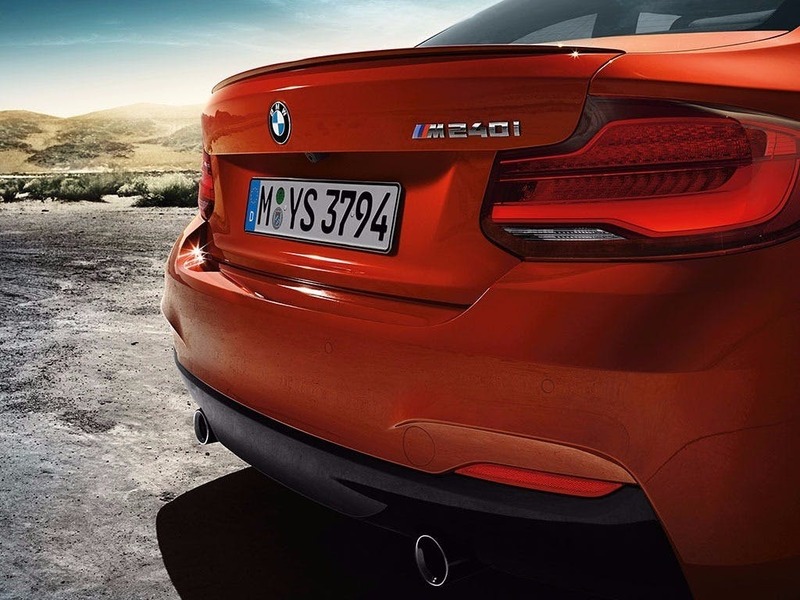 Explore the 2 Series Coupé specifications.